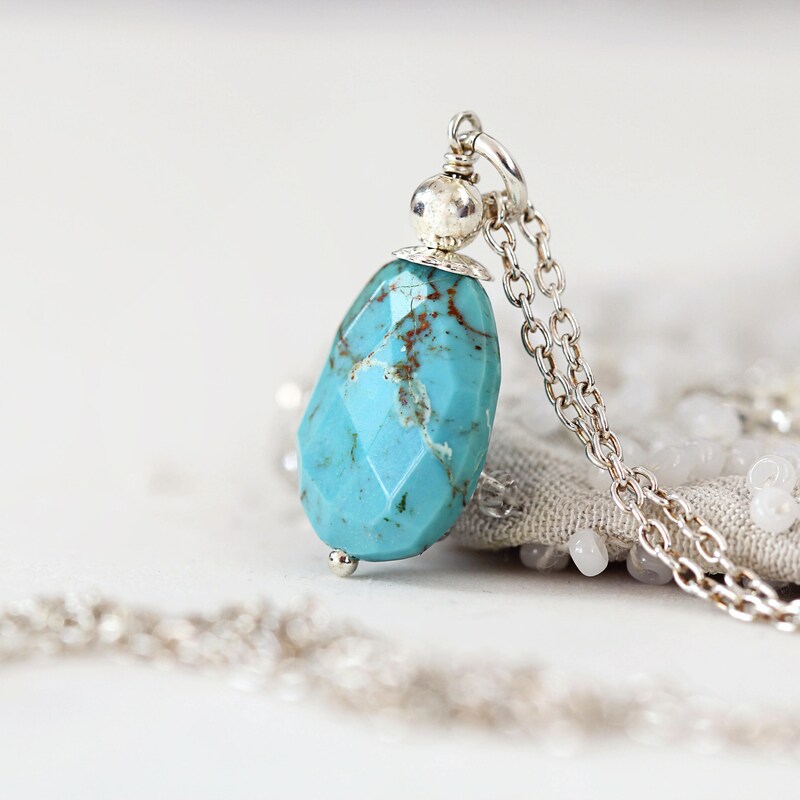 This gorgeous Kingman Turquoise necklace will bring a touch of colour and confidence to your days and nights. 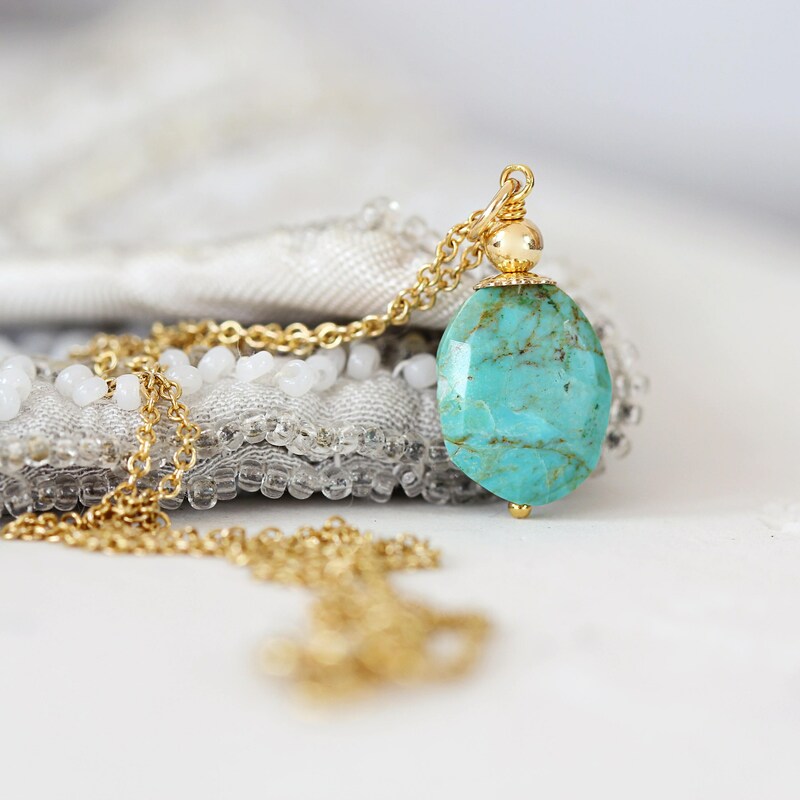 Perfect for parties, but can also be worn during the day for work or casual wear. 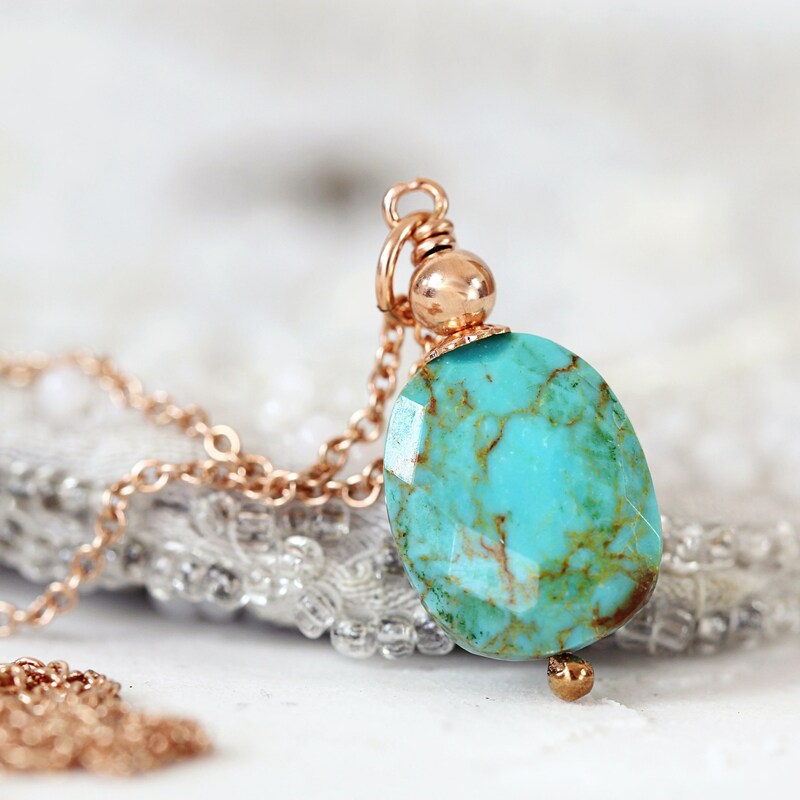 Featuring a beautiful, rare, greeny-blue Kingman Turquoise stone with exquisite matrix inclusions. 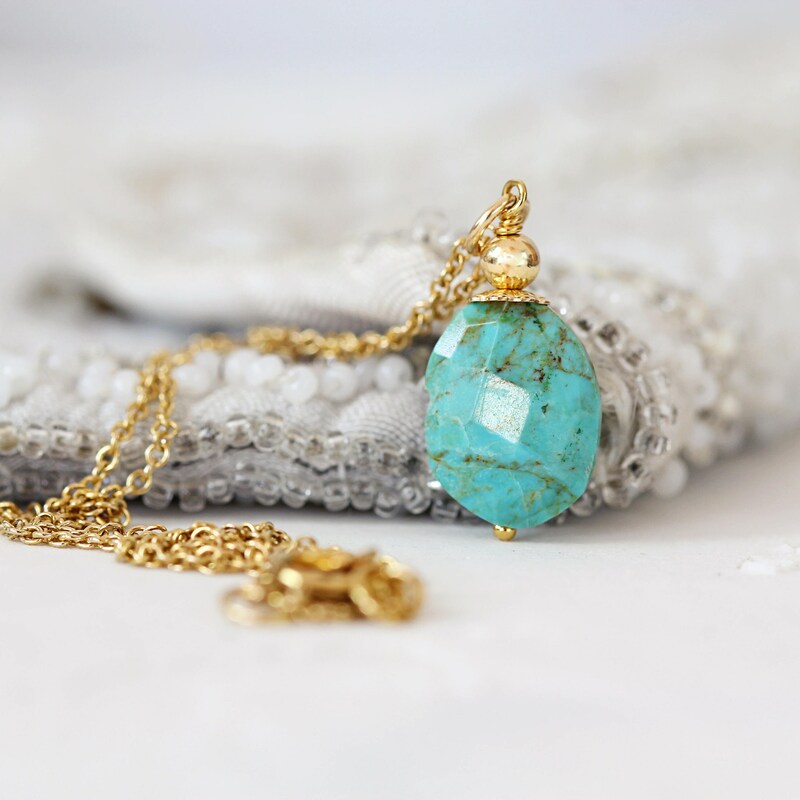 Faceted to catch the light, and paired with your choice of chain and length - gold fill, rose gold or sterling silver. 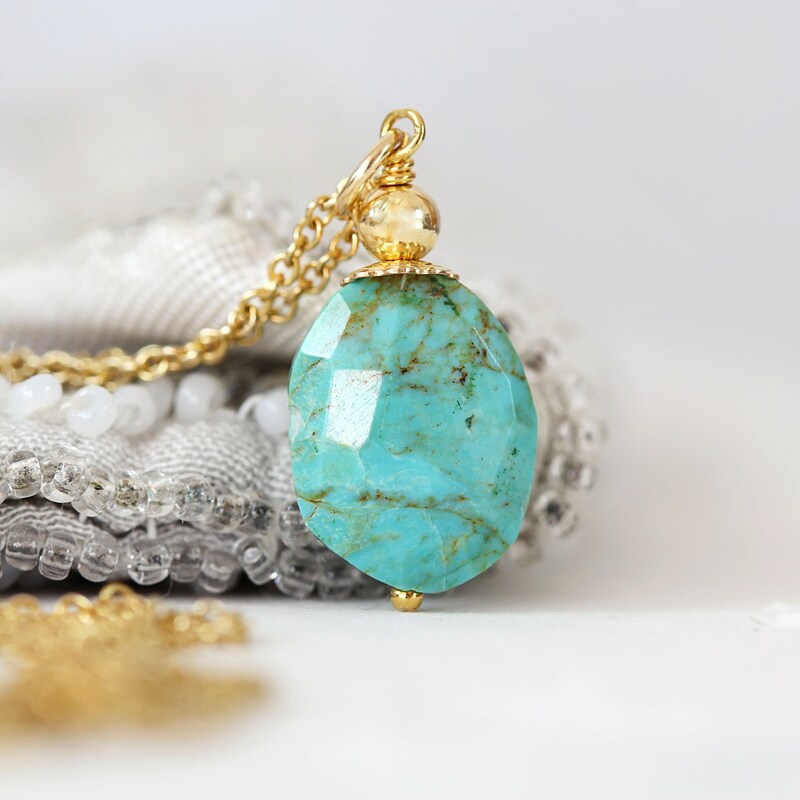 This natural, genuine turquoise necklace makes a thoughtful gift for a loved one - for mum, sister, friend, wife or girlfriend - for any occasion such as a birthday, a graduation, an anniversary, Valentine's or Christmas gift, or just for someone who would benefit from the special qualities that this beautiful stone has to offer.